Wow! 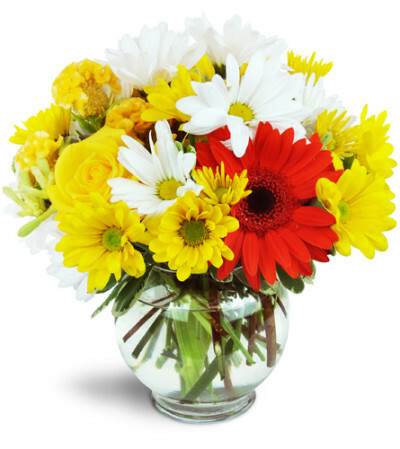 For a burst of real cheer, our combo of bright yellow, red, and white is a perfect pick-me-up! Send your best birthday wishes, Get Well, and more - they'll love it! Red Gerbera daisies, yellow and white daisies and roses, and more are arranged in a festive footed bubble bowl. Thank you Lollipops and Roses! I made my order directly to you from your website based on your reviews. I live in So. 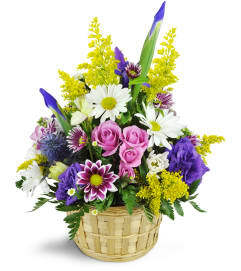 California and needed to send an arrangement for a family member up in your area. I was so pleased that they arrived on time and the family said they were beautiful (even sent me a picture) and they looked amazing. Thank you so much for helping me make my condolences a special one. I’m happy to rate your shop a 5 star!!! Gorgeous flowers! 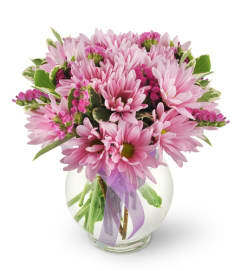 I prefer to deal with local florists rather that use the online sellers with whom I have not had good results. And you are why. Good job! 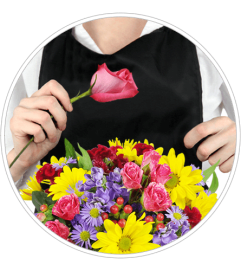 Lollypops & Roses is a Lovingly Florist in Salem. Buying local matters. Discover how Lovingly supports local florists. Copyrighted images herein are used with permission by Lollypops & Roses.